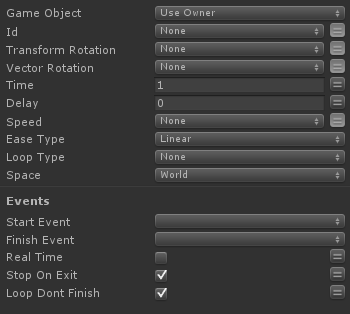 Instantly changes a GameObject's Euler angles in degrees then returns it to it's starting rotation over time. A rotation from a GameObject. A rotation vector the GameObject will animate from.